When is the Nanban audio launch? 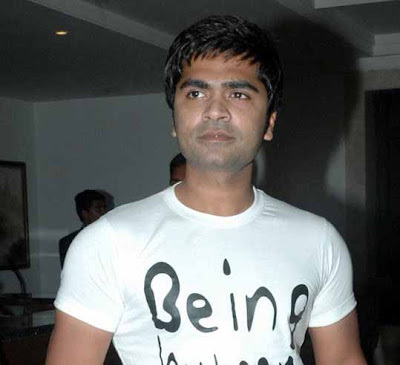 Silambarasan's upcoming projects are on the full spree now. Having wrapped up with 'Osthe', the actor has now started shooting for his next project 'Vettai Mannan' that has already completed the first schedule. Plans are done to complete the shooting at a single stretch as his other film 'Vada Chennai' will go on floors from February. Shedding lights on the film, producer Dayanidhi Azhagiri said, "It's the unwritten story, untold history of the organized crime syndicate of North Chennai." Well, the story about Vettai Mannan is about the unexplored territories of assassins. But the closer sources claim that there aren't any similarities between these films and they're completely based on different themes. 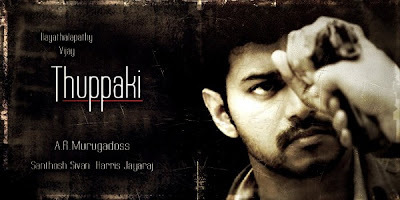 THUPPAKI " start rolling in Chennai from next week. Producer of this film, Kalaipuli S Dhanu said: "Thupakki is confirmed as the title in Tamil and it has tremendous title value and we have registered the title. The other details regarding the cast and crew will be announced officially early next week." The AR Murgadoss directed Thupakki will start rolling in Mumbai shortly . It has Vijay and Kajal Agarwal in the lead. Santosh Sivan is the cameraman and Harris Jayaraj will provide music. Finally a Title for Vijay- A R murugadoss new project -"THUPPAKKI"
Both Vijay and Murugadoss felt that Thuppakki, a Tamil name, had tremendous title value and they have already registered it with the Producers' Council. Rumours were rife that Vijay was playing a cop in the movie and hitting the gym every day to get fit and toned for the role. Now the latest buzz is that the Pokkiri actor rules out playing a cop. "These are just rumours. I am not hitting the gym for any particular character, I always do my workouts to stay fit," he reveals with a smile. Genelia is currently busy with two Hindi films. She also has a Telugu film in her hands. Her Tamil film Velayudham which had Vijay in the lead role was released for Deepavali and has turned out to be a super hit. She has no other Tamil films in her hands. When asked her that whether she is not in interested in Tamil films, she said, "I don't have difference in languages. I will act in Tamil, Hindi, Telugu and all other languages. I have acted in the Tamil film Velayudham. I have also acted in Urumi. If the story is good, I am ready to act even with lesser salary. If you do your work with dedication you are definitely bound for success. If we work hard, we will get money, name and fame. Many are asking me about my marriage with Ritesh Deshmukh. I don't want to speak about my personal matters." Initially there were rumours that Sandhya was in love with Prithviraj. Now there are rumours that Sandhya is deeply in love with Santhanoo. When asked her about these continuous rumours, she said, " I always never wanted to get trapped in number one competition. There is always a small world for me in the cinema industry. I am very clear in that. Though I have acted in hit films, I am very sad that I am not able to pair with top heroes. In between there are rumours that I am in love with Santhanoo. There is nothing like that. Some people are spreading rumours that my parents are searching a bridegroom for me and because of this I am not accepting new films. My parents will announce about my marriage at the appropriate time. Now I am currently concentrating in cinema only." Javed Akhtar, the famous lyricist and award - winning poet has criticized Kolaveri di strongly. He said the music, singing, and especially the lyrics were substandard. The lyricist said that nowadays thanks to aggressive marketing even average fare becomes insanely popular. Akhtar added that quality should be given precedence over all else and Kolaveri di lacks quality. Dhanush has been a good sport about the criticism and has taken it in his stride. He is willing to accept both the bouquets and the brickbats. Aishwariya Dhanush is all set to direct a film titled 3 with her husband Dhanush playing the lead. While the film, 3, has been making headlines thanks to its single, why this kolaveri di, Aishwariya, who was an assistant director in 'Baba' and 'Aayirathil Oruvan', has been coming in for a lot of attention herself. The film is produced by Dhanush's father, Kasturi Raja, and also stars Shruti Hassan. People can expect a new Shruti, a role she has never played before, promises the director. As for the storyline, Aishwariya wants to keep people guessing. 'It is an emotionally charged romantic movie that every person can relate to,' is all she says. Vijay fans are in a fever of excitement as Nanban is gearing up for a big Pongal release. The film has a huge star cast comprising of Vijay, Sathyaraj, Jiiva, Srikanth, Ileana and SJ Suryah. The audio launch is to be held on December 14th at Nehru Stadium. It is going to be a gala affair. Celebrities from all over the country are expected to put in an appearance. Harris Jeyaraj has done the score and insiders are saying that it is going to be massive. En Friend Pola Yaru Machan is supposed to be highlight of this album.